An Ireland golf vacation possesses a priceless heritage of golf. Over 450 courses offer a superb selection of golf choices -- many which are renowned throughout the world -- a variety that offers almost every conceivable environment and test from which to choose. Whether golfing from a base in Dublin, Killarney - the gateway to the Ring of Kerry, the rugged northwest coast or Northern Ireland, the golf will be as memorable as the people themselves. 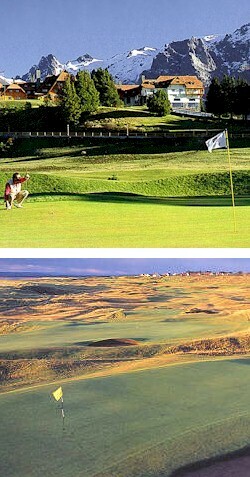 Let Classic Golf Tours customize your Ireland Golf Vacation. We're specialists in Golf Holidays and Golf Tours - with a golf resort and vacation package for any budget and group. Here is another itinerary that concentrates golf around Dublin for an outstanding and easy golf holiday. Not on many golfers' maps; a pity -- for there are wonderful golf opportunities here. A selection of courses that few know about, and even fewer have experienced! Experience the grandest and best courses in all of Ireland. Here is an itinerary Classic GOLF Tours escorted 12 lucky golfers on recently. Get your group together and experience the best of Northern Ireland and North & West Coast. Call us! Will do the rest. Among the most superb courses in Ireland are those in County Kerry.